I love pink glittery Christmas decor, and it seems to be showing up in my baked goods, too! 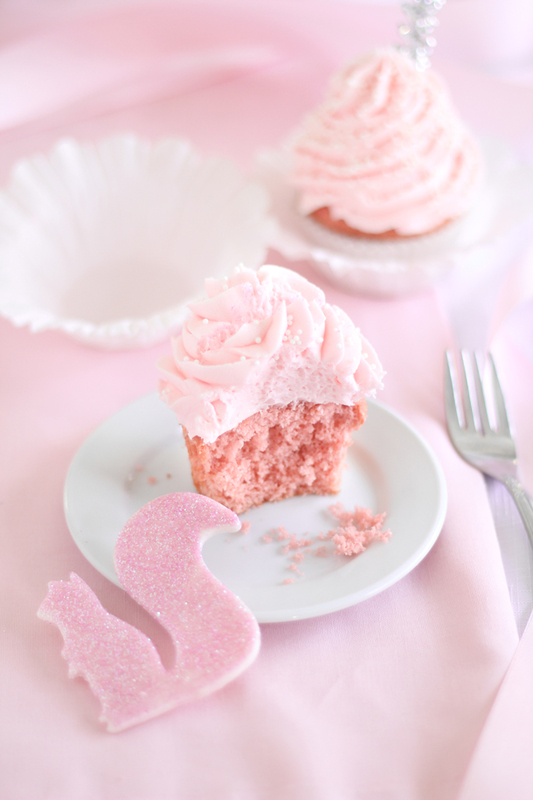 This cupcake is inspired by the retro 'Pink Squirrel' cocktail. The drink is a bit like a milkshake served in a martini glass (yes please) and it's flavored with crème de noyaux (almond liquor) and crème de cocoa. I really had fun with this recipe and translated 'Pink Squirrel' into something more literal. 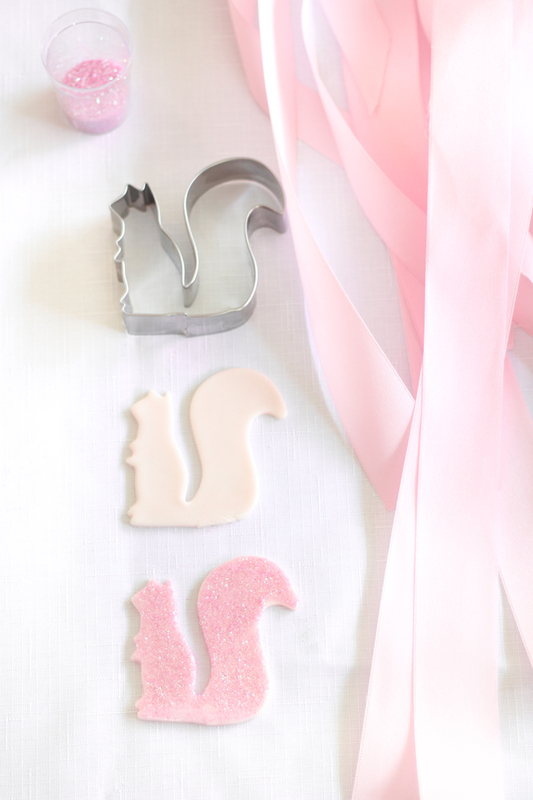 I made my own glittering pink squirrel toppers from ready-made gum paste, a squirrel cookie cutter and glitter. 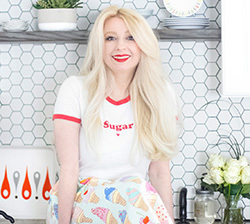 You can find a cookie cutter similar to the one I used here. 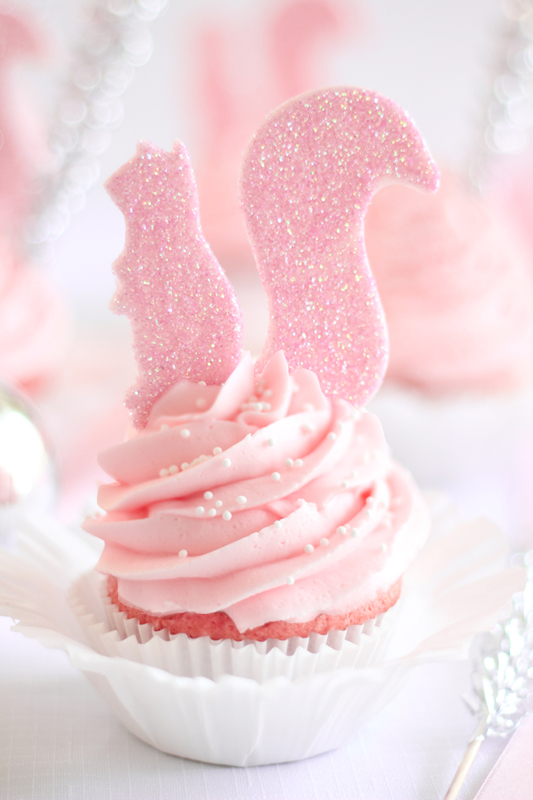 I consider the glittery squirrel toppers as decoration only, and I suggest removing them before enjoying the cupcakes. Disco Dust glitter is nontoxic (which is what I used on these) and sold at most specialty cake shops. 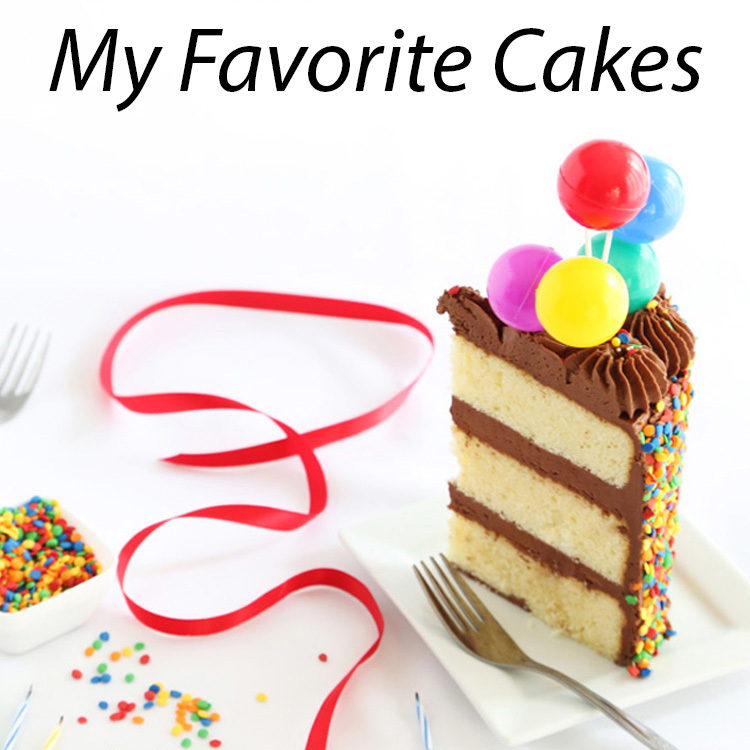 Some cake decorators use it indiscreetly on baked goods. It really creates a beautiful sparkling effect, but whether or not to eat the glittered toppers is up to you to decide. Cupcakes are always well-received as gifts, and I love packaging them individually in cupcake dome containers like these. 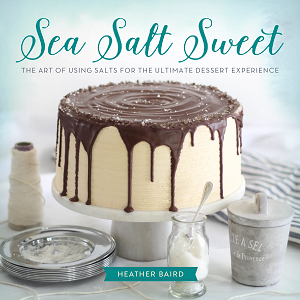 They make a sweet and memorable parting gift to hand out as guests leave your holiday get-together or cocktail party. One more thing! If you're looking for a cozy drink this winter, then head over to The Etsy Blog and check out my Scandinavian Glögg post! Make the cakes: In the bowl of a stand mixer fitted with the paddle attachment, cream together butter and sugar until light and fluffy. Add eggs one at a time beating well after each addition. Add vanilla and mix. Whisk together flour, baking soda, baking powder and salt, set aside. In a medium bowl, whisk together the sour cream, crème noyaux, crème do cocoa and almond extract. Add flour and sour cream mixture alternately, beginning and ending with flour. Beat in a drop of pink food color, if using. Batter will be thick. Fill cupcake papers with 1/4 cup level measures of batter. Bake for 17-22 minutes. Set aside. Make the frosting: In the bowl of a stand mixer fitted with the whisk attachment, cream softened butter and powdered sugar together. Once the frosting is thick, add the crème de noyaux one tablespoon at a time while beating on medium-low speed until the mixture is light and fluffy. Add a drop of pink gel food color; mix well. Transfer the frosting to a piping bag fitted with a large star tip. Pipe the frosting onto the cooled cupcakes. Sprinkle with nonpareils. 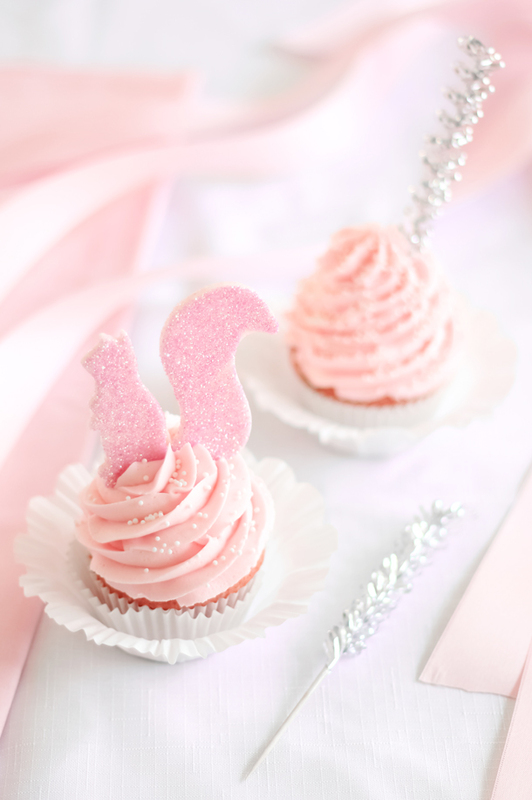 Garnish the cupcakes with a glittering squirrel topper (recipe follows). You may also choose to top the cupcakes with maraschino cherries with stems, as this is the usual Pink Squirrel Cocktail garnish. Note: If you’d like to forgo the liqueur in the recipe, then omit the crème de cocoa and crème de noyaux and replace the two with 1/2 cup cream soda. Increase the almond extract to 1 1/2 teaspoons. Knead the gum paste well before starting. Knead in a drop of pink gel food color if desired (I used both pink and white gum paste for my squirrels). Roll the gum paste to 1/4-inch thickness. Using the squirrel cookie cutter, cut shapes from the paste. Re-roll scraps and cut more shapes until you have a total of 17 (or the number of cupcakes you ended up with). Transfer the squirrels to a sheet of waxed paper. Brush one side of the cut-outs lightly with corn syrup. Sprinkle disco dust over the shapes. Let dry at least 4 hours or overnight. The shapes are ready when they are dry, rigid and can stand upright. 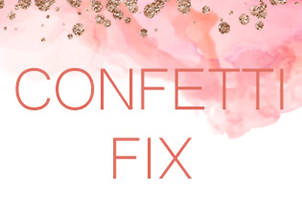 Shake off excess disco dust. 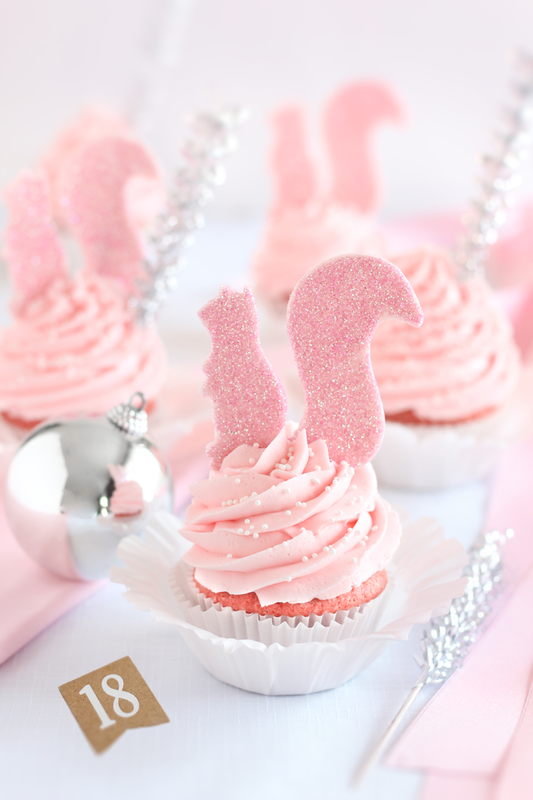 Place a pink squirrel topper standing upright in the centers of each cupcake. The flavors of chocolate & almond combined with the sweet pink squirrel. 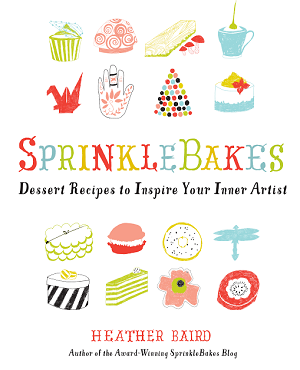 You are so creative, Heather! I am truly "nuts" about these! They look delicious and the silver accent makes it even more festive! I am all about the glitter...your photographs inspire me! I can NOT wait to make these! I love the sparkle and the pink! :) Thanks for sharing! I am a complete squirrel FREAK. I know, weird. But THESE cupcakes! So flippin' adorable!